If you have your house on the market you likely already have everything arranged neatly and perfectly throughout the house. The one area of your home that you may have forgotten about however is the basement. 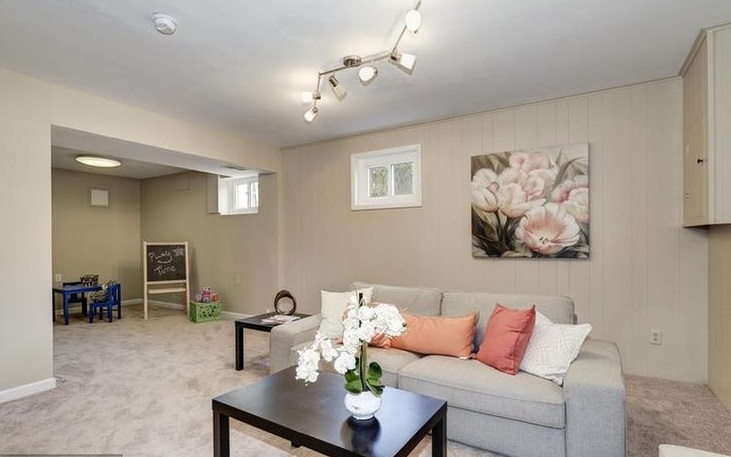 Below are a few tips for staging your basement so that those who come to tour your home may be more willing to make an offer. One tip for staging your basement to make it “show” ready is to pick up all of the clutter off the floor. Most of the time when folks have a basement in their home they tend to use it as a catch all and therefore many items get tossed down the stairs without a second thought. If you want the house to show the best it possibly can, be sure to put all of your basement clutter away neatly into storage bins. Another way to stage your basement for a viewing is to paint the basement floor with a sealing paint. You could use the same paint folks use to paint their garage floor with or you may want to do something fancier such as decorative concrete. Whichever you choose, cleaning up the floor of the basement is a great way to make a statement during a showing. Another good way to stage your basement in order to possibly have a better showing is by finishing the walls with sheetrock. This is not a huge project to undertake and is one that you can likely do yourself without breaking the bank. Finishing the walls in the basement can make a really big difference in the way the basement looks. Yet another way to stage your basement is to do your part to get rid of that typical basement smell. Use air fresheners and or fans to circulate the air the basement when you know that someone is coming to look at your house. You can also use a diffuser with your favorite essential oil to make the basement smell nice and fresh. If your basement is not well lit, you may want to add a few lamps before a showing. This is a great way to brighten up an otherwise dreary part of the house. These are just a few ways in which you can make the basement of your home more appealing by staging.